Your dream of being your own boss may be closer than you think. Become a franchisee of The UPS Store! On Sept. 12, a representative from The UPS Store will be available to discuss how our franchise opportunity can help you meet your business goals. With nearly 400 locations across Canada, The UPS Store network is the leader in its industry. We possess over 35 years of retail and franchising experience and the power of one of the world’s most admired and recognized brands. We’re the country’s largest chain of print & copy shops and as well as Canada’s largest franchised network of business services centres. At our open house, you’ll learn why The UPS Store operates one of the best franchising networks available. 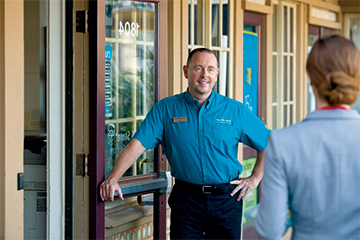 You’ll be able to speak face-to-face with a local representative of The UPS Store team. We encourage you to ask questions about their experiences and gain a better understanding of the potential of our business. Come learn about the exciting franchise opportunities available in your area. Register today! If you're unable to attend our seminar, we'd be happy to chat with you in person by calling Toll Free: 1-800-661-6232 x246. Interested in attending our free seminar? Considering Investing in a Franchise? Meet your business goals by becoming an aspiring entrepreneur as a franchisee of The UPS Store. We offer support and training and are committed to helping you open a successful location of The UPS Store in your community. 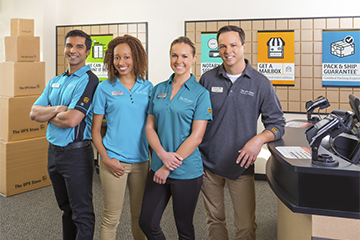 Year after year, The UPS Store has been recognized as the industry leader in the postal and business services franchise industry.